eltic winger James Forrest has backed Hibernian to sustain a genuine interest in the Ladbrokes Premiership title race. CThe top flight will resume on Saturday following the international break, with Neil Lennon’s Hibs team pitching up at Parkhead. James Forrest has been impressed by the start made by both Hearts and Hibs this season. Picture: SNS. The encounter in Glasgow will see third in the table entertaining second. 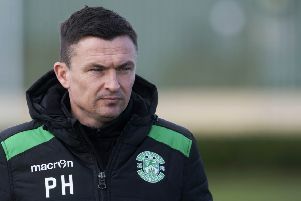 Forrest believes the fact that Brendan Rodgers’ title-winners find themselves behind Edinburgh pair Hearts, who lead the way, and Hibs is proof of the greater challenge Celtic face this season in the quest to claim an eighth straight title for the club. but we have these league games coming up and that will give us the chance to try to close the gap,” said Forrest, with Celtic meeting Hearts in their Murrayfield Betfred Cup semi-final and in the league in Glasgow’s east end in the coming weeks. “We have played a lot better ourselves in recent weeks and we just need to push on and come alive in these big games. “I think even last season, in Hibs’ first campaign back up, they did really well. Every time we played them last season we were involved in some tough games. They have lost a few players but they have signed a few and I expect them to be right up there. “I think 100 per cent [there will be more of a challenge from rivals this season]. You can see that with the league table and the starts that a lot of teams have made. It is more competitive and it is going to be difficult and we know that it is going to be a tough season. We are aware of that but we have the ability in our changing room, the boys are working hard and I think things are starting to come together now. 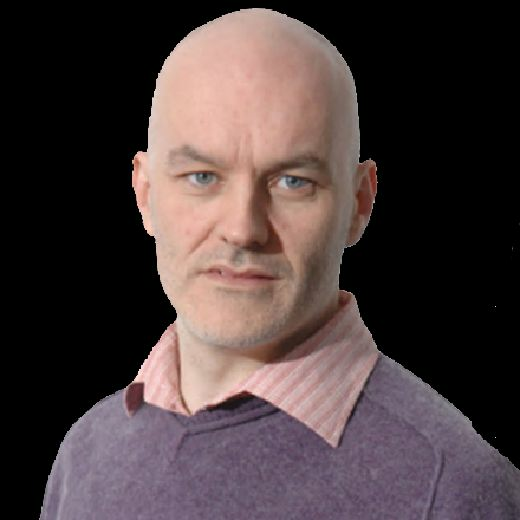 Forrest is convinced that things are coming right for Rodgers’ side after a sticky start to the season wherein two league losses made for Celtic’s worst start to a title campaign in two decades. The 27-year-old believes the double-treble winners are ready to cast that aside after being buoyed by the 6-0 win at St Johnstone going into the international break – certainly true for him personally after he had a remarkable four-goal haul in that drubbing. He accepts they will need to find their best form, with the Hibs encounter kicking off a frenetic 15-day period. That will see them then travel to Leipzig for a Europa League group game next Thursday, before the Betfred Cup semi-final on the Sunday gives way to a midweek trip to Dundee ahead of their hosting of Hearts. Forrest believes both Celtic and Scotland can benefit if they hit their stride in this period. It would give national manager Alex McLeish six players – Callum McGregor, Kieran Tierney, Leigh Griffiths, Craig Gordon, Jack Hendry and Forrest – full of confidence as he pursues the wins away to Albania and at home to Israel. Victories that wouldn’t just put the country into the Euro 2020 play-offs as Nations League group winners but remove the doubts over the manager’s position that have grown following the desperate defeat in Israel last week. “Every couple of days we have big games,” the Celtic winger said. “These are the games we want to be involved in and that will help us going into the Scotland games. “The defeat in Israel last week wasn’t good and everyone knows that, the players and staff. There is no hiding that it was hard going. We just need to bounce back, and bounce back in the next two games. We need to make sure we are ready to take off in the next international break. The group is still in our own hands. That is always a good thing. We know if we turn up and look after ourselves we can do it. They are not going to be easy games. They will both be hard and we need to make sure we set up right and make sure everybody is ready to go. We just need to get a positive result and performance and I am sure everything will change.